We replied "Dominican Republic holiday resorts aren't as expensive as other Caribbean options because..."
Below we publish a heartfelt ‘article’ posted in answer to a query on ‘Thorntree’, the great traveller and back-packer's forum run by Lonely Planet. 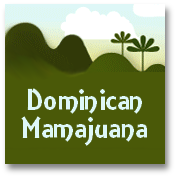 For Spanish Course with free trial offer -- enjoy your visit to the DR! 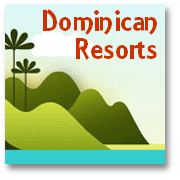 More Dominican Republic resorts to be added soon, so please check back regularly, or pick up our XML feed and get the latest alerts about developments on this site and in the Dominican Republic holiday resorts - as they happen. So just why are Dominican Republic vacation resorts such good value? 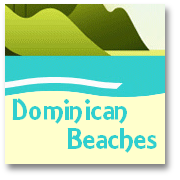 “We started our Dominican Republic holiday resorts travel information site in November 2004 as our own small effort (as two Dominican sisters - currently out of our lovely country!) 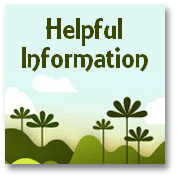 to promote the land we love...and to keep us in touch with home as we run our Information on Dominican Republic holiday resorts and more' - questions and answers 'service'. We agree that it may seem odd that the Dominican Republic was the first place 'discovered' by Columbus when he sailed to the 'New World'...but has become one of the last places recognized by tourists as being a major 'Caribbean' vacation venue! Over the last few decades, say since the 60's, many other resorts in the Caribbean have developed from occasional 'stop-over' spots for 'real travelers' (rather than just tourists) to becoming the haunt of millions of tourists on a regular basis. It is probably the case that a couple of major influences have 'held back' the speed with which Dominican Republic holiday resorts have joined the 'fray'...and why the DR itself has remained for along time, so-called "the best kept secret of the Caribbean". Firstly the DR was in the grip of one of the most infamous 'dictatorial' regimes of the 1900's right until the early 60's, when Rafael Trujillo was finally 'shot' (with the assistance of the CIA...due to having FINALLY aggravated the US authorities too much, when he tried to get the Venezuelan President, Betancourt, 'topped'...they'd let him alone for long enough terrorizing ordinary Dominicans...he just got too big for his boots...or he'd still be there today...like Castro no doubt!). All the political shuffling thro' the 60's, 70's and 80's, meant that outside influences and the freedoms of the Dominican people (so long subjugated to Trujillo's demands) were very limited. We provide a summary of 20th century political history of the Dominican Republic. HERE - if you want to know more. It really wasn't until the 1980's that a few entrepreneurs started to establish themselves in and around certain parts of the DR, and that it was recognized that these areas could become 'competitor resorts' in the growing demand for seats on the 'Caribbean vacations' gravy train!!! Admittedly, a few 'hippy' types also fell in love with the place and began that slow process of assimilation into the local culture, and becoming to all intents and purpose kind of 'laid-back' entrepreneurs' who now run a wide variety of tourist related businesses in and around the DR, especially in places with great beaches like Las Terrenas and the Samana Peninsula generally (You will have noted more Germans, French, Canadian, US and other Europeans have settled around that area...when you visited, perhaps). The quandry of selling paradise to be able to stay in it! It's a catch-22 though, because, for those who decided to set-up-camp and seek to make enough of a living to 'stay in the DR'- (as it was still a genuine ‘Caribbean paradise’ in many ways) end up having to actively encourage more people 'to visit' (from whom they make a living) so the qualities that attracted them to 'set up home' in the DR in the first place diminish...as the Dominican Republic holiday resorts become more established. Thankfully the DR is a big enough country (much bigger than the majority of the smaller island resorts - some of which have been more or less converted to 'mass tourism' soulless, bland, plastic impersonations of what they once were) that it can absorb quite a lot of 'brash development'...and has been able to compartmentalize the 'overt' tourist development in 'certain pure tourist areas', like Juan Dolio, or Punta Cana, for instance. ...and the 'language' barrier effect! The other major influence that may have retarded the development of Dominican Republic holiday resorts as a major Caribbean venues, is no doubt that the native language is Spanish. On the whole those Islands that have English as their main 'international' language, have thrived sooner and quicker. Up ‘til now, the majority of tourists to the DR have been US and Canadian, these often 'conservative' travelers no doubt feel more secure where they can speak the language...it takes that bit more ‘adventurousness’ to go somewhere you need to carry a phrasebook all the time... or dig the 'language tapes' out for a month or two before you go on vacation! Of course it is NOW the case that more Dominican's are realizing the value of learning a little English too...which is helping to make things easier for people visiting main resorts in particular. So this slow growth has perhaps been inevitable...and has HOPEFULLY provided the Dominican Republic holiday resort developers with plenty of examples of what 'not to do' in the DR... to avoid making the same 'over development' mistakes as have been made in many other places...(Perhaps this is a vain hope though? - Given that where there's a buck to be made little thought goes in to the adverse environmental and cultural effects development has on a place! We can only hope! :-o). Some still don't even realise the DR is in the Caribbean! I am of course only giving my 'feelings/views' as to why the Dominican Republic holiday resorts have developed so much less quickly than other Caribbean resorts. 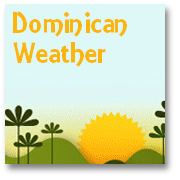 Go to the top of the Dominican Republic holiday resort information page.